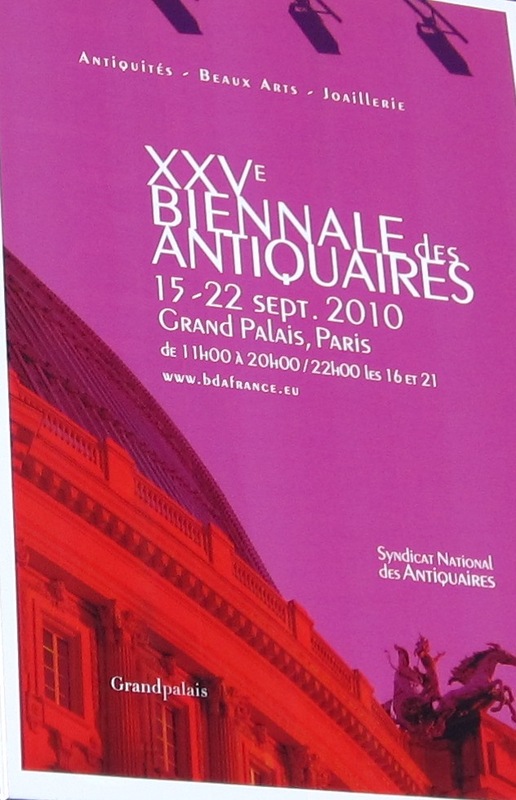 On Tuesday, September 21, I had the pleasure of attending the XXVème édition of Biennale des Antiquaires held at the magnificent and prestigious dome of the Grand Palais. 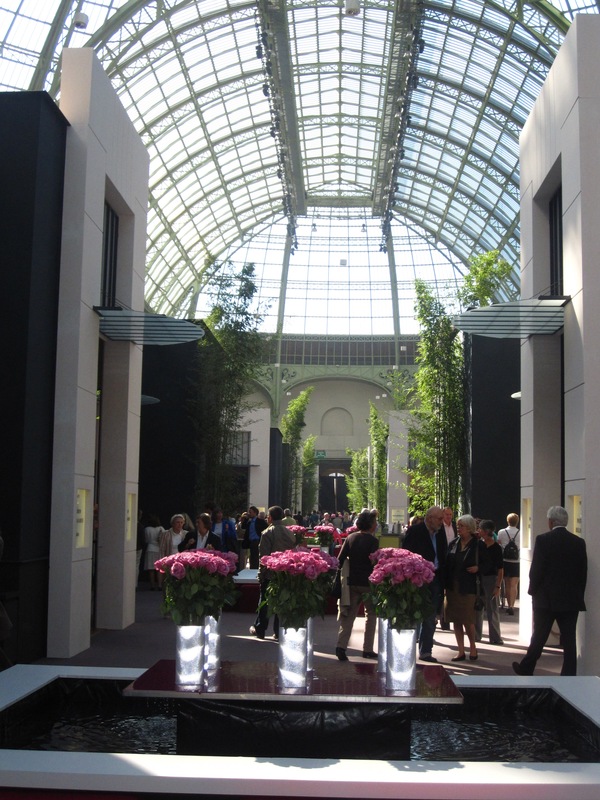 The exhibition showcased the masterpieces of 80 international galleries, dealers and jewelers. Not knowing what to expect, I walked into the dark and covered entrance, where I was transported to a fantasy world. 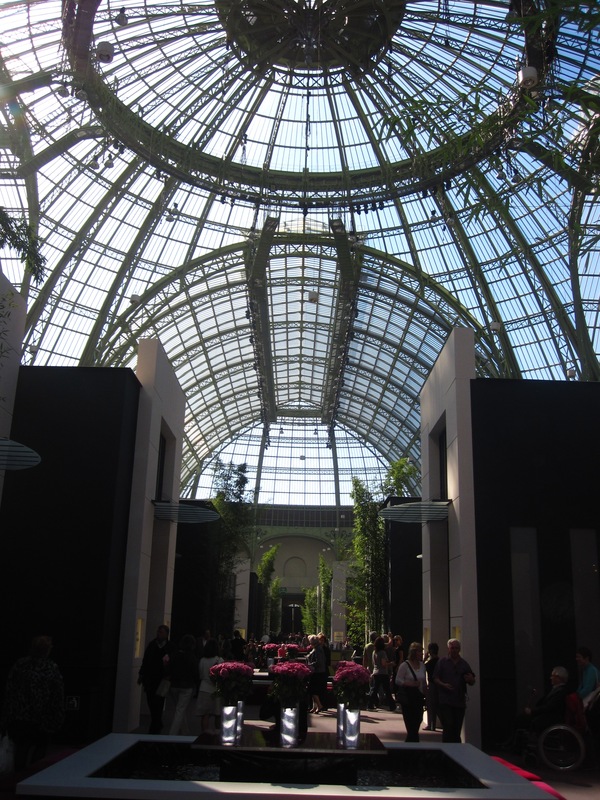 25 alcoves full of roses guided me toward the center where a rose-lined basin reflected the splendid dome of the Grand Palais. It was absolutely awe-inspiring! I was immediately drawn to all that glitters. 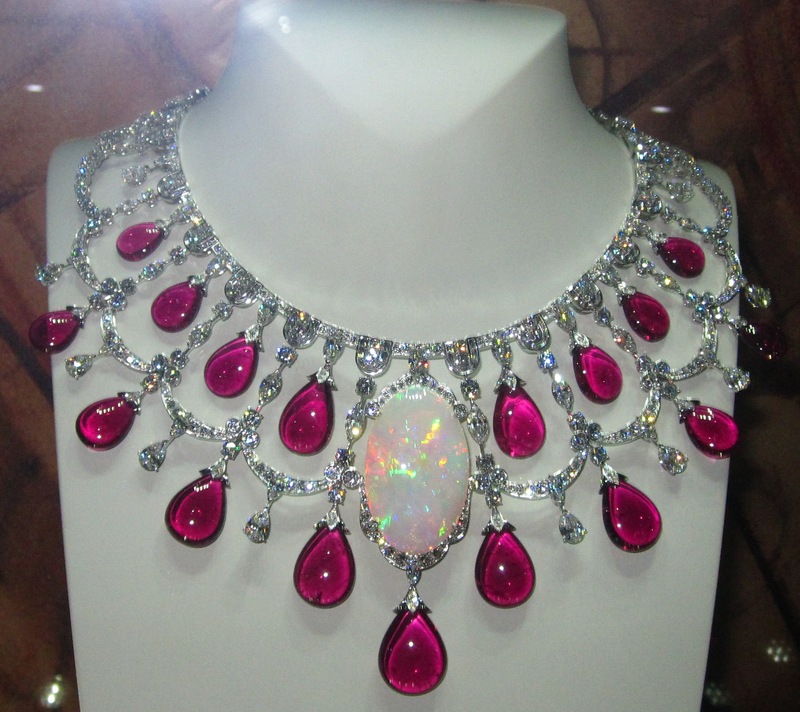 By that I mean the exquisite exhibition by the major jewelry houses. Piaget, Van Cleef & Arpels, Harry Winston, Cartier, Chanel Joaillerie, Dior Joaillerie and Louis Vuitton. Ohh la la! It was absolutely breathtaking! 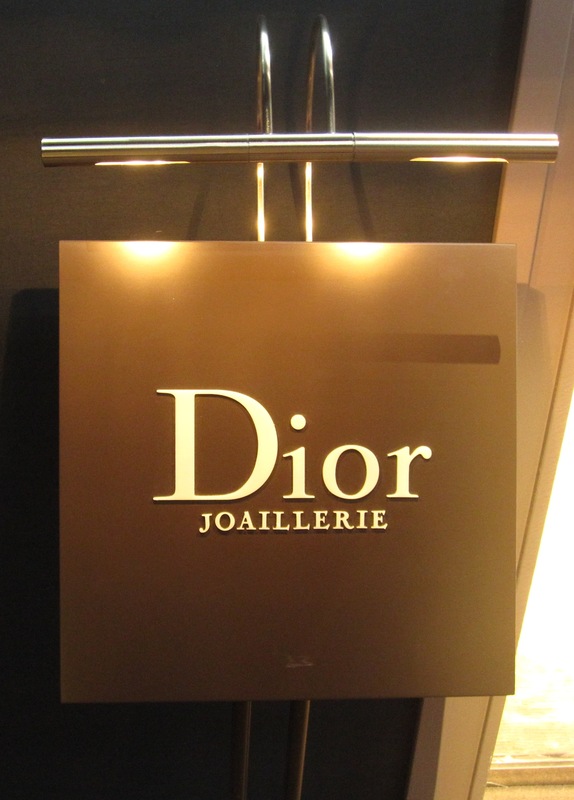 The gorgeous gems of Paris haute joaillerie, displayed in mini boutiques, for me to walk through at my leisure and drool over…I was in heaven. 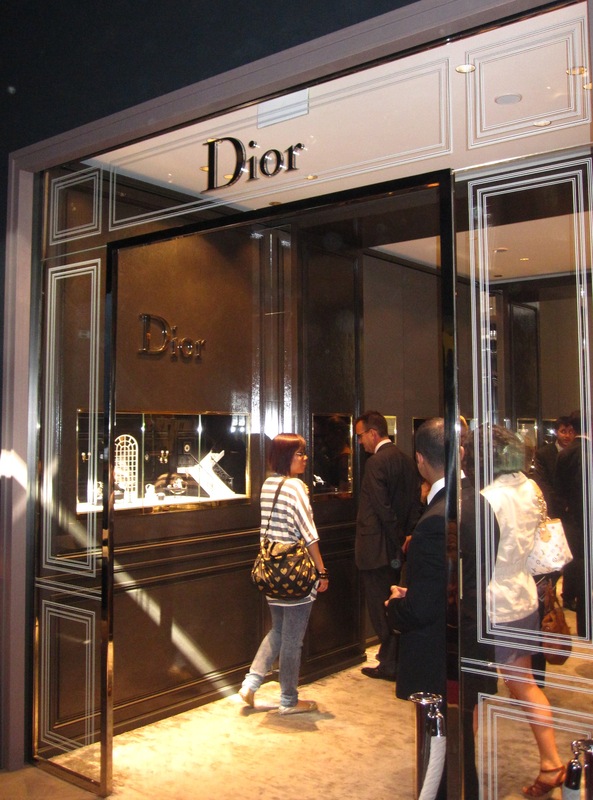 Among my favorites were Piaget, Chanel, Cartier and Louis Vuitton. I began at Piaget, which debut their sumptuous cupcake rings to go with their rings that resembled cocktails. 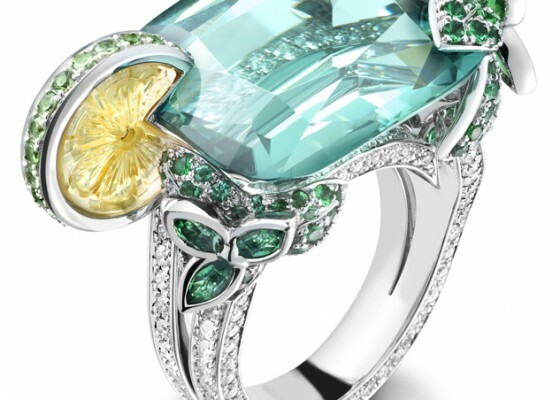 My favorite ring, the Mojito ring made from a cushion-cut green tourmaline…don’t forget the lemon, a carved citrine. Tres Chic! Cartier consisted of peacocks, flamingos and birds of paradise dazzling the eye with their brilliant hues. A splendid 877 pave diamond peacock spreading its feathers caught my eye for 530,000 Euros. The piece was aptly named Parade. I will be sure and put that on my Christmas list. 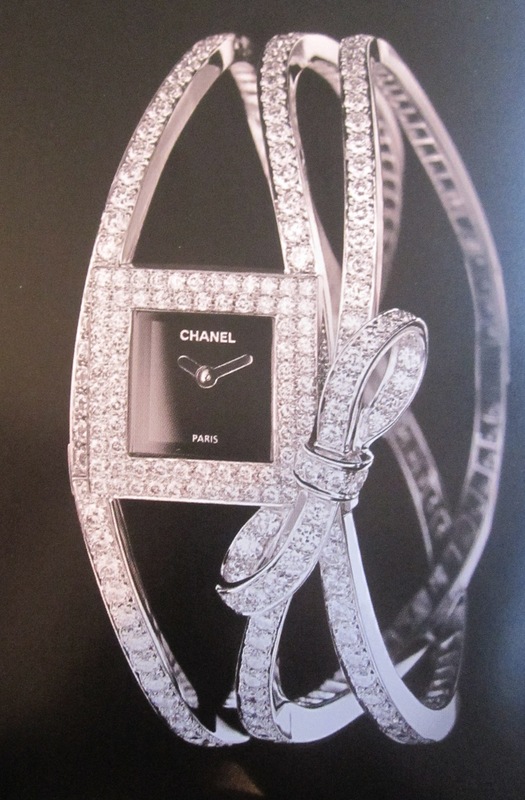 Chanel’s featured jewels were dominated by clear white diamonds. 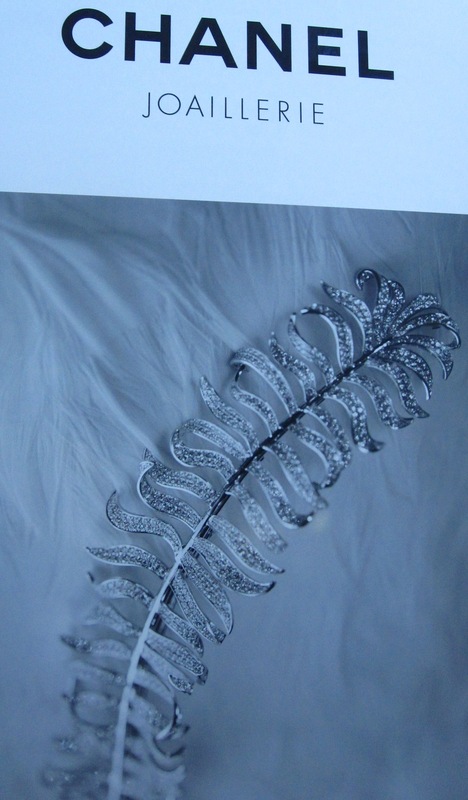 The elegant window display showcased the feather-motif pieces from the designer’s 1932 collection. White feathers were the backdrop for these splendid pieces. Louis Vuitton, the new kid on the block this year, focused on the spirit of travel. I was lucky enough to get an in-depth tour and discuss the inspiration behind each piece. A grandiose jewelry travel trunk was created specifically for this event to showcase the stunning creations. My favorite in the trunk, Paris skyline earrings made of pink tourmaline. However first place is awarded to a 30-carat diamond cut in the shape of the Louis Vuitton monogram flower. Incredibly rare and beautiful!